Our Deluxe model features an extra-large graphic billboard for greater visibility and maximum design space. Charges 8 devices simultaneously, all at full speed and features optional wireless charging to accommodate 10 devices. 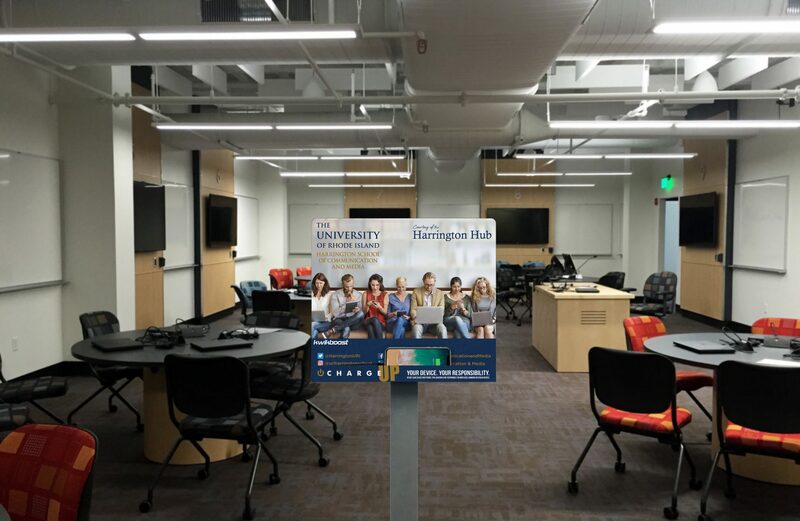 Backed by our Lifetime Warranty and a 1 year service plan, the Deluxe is a great fit for universities, libraries, hospitals, clinics, stadiums, airports, hotels, corporate offices, retail, trade shows, high traffic walkways, and more. Easy add-on to any floor stand model. 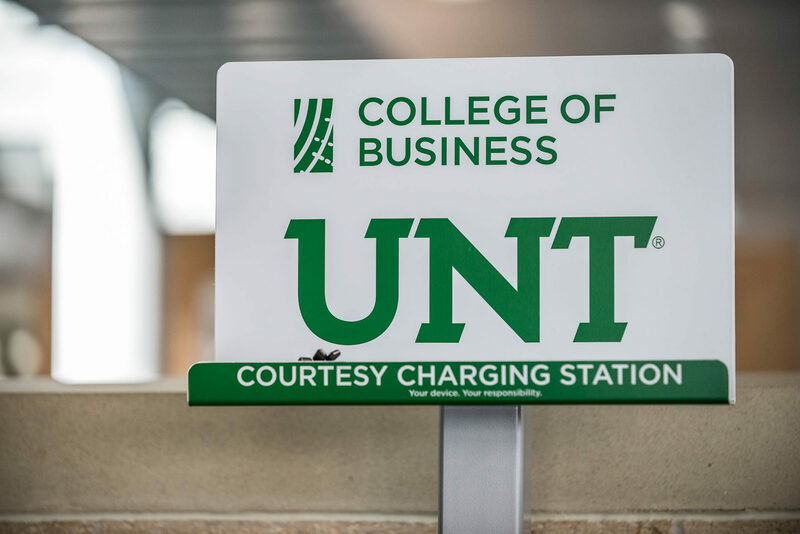 Two wireless charging spots, compatible with all devices that accommodate wireless charging. Get more graphic options with an interchangeable graphic accessory. Switch out your graphics easily. 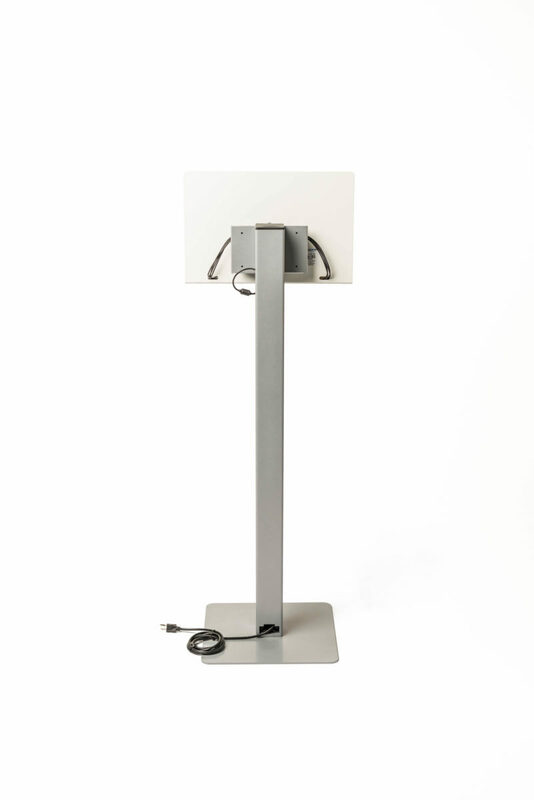 Adding a wheeled base allows you to quickly and easily move your charging station. 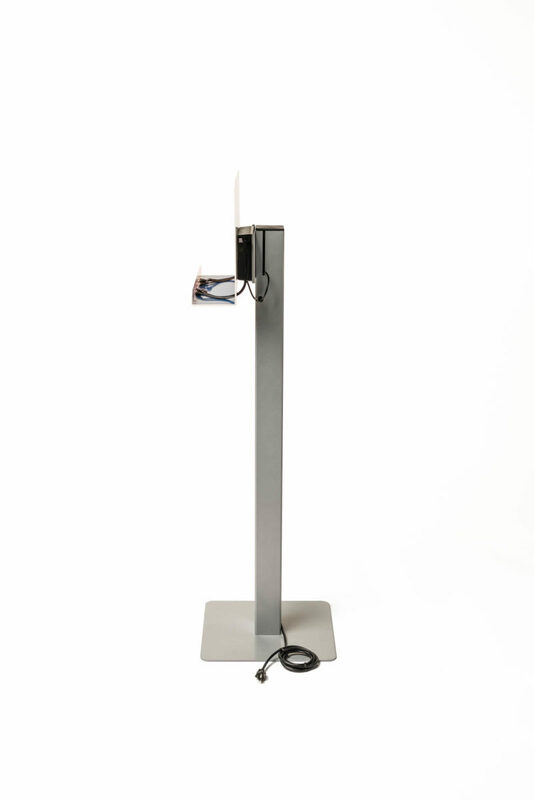 Can be added to any floorstand charging station or locker. 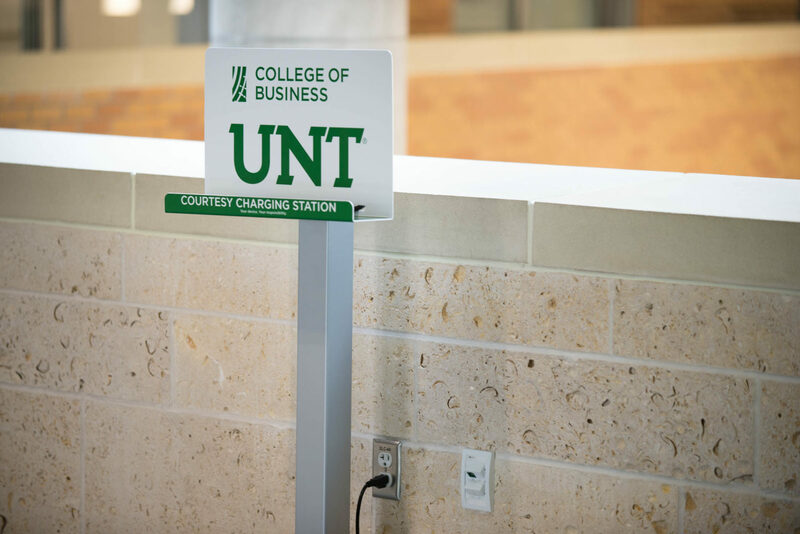 A Security Lock protects your charging station and ensures it can’t be relocated without the key. 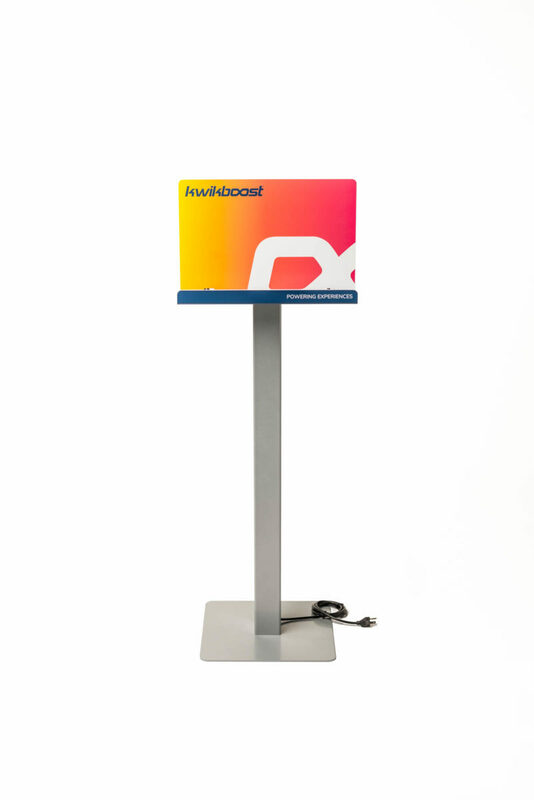 The Pole Wrap accessory adds more personality to your charging station, and gives addition space for branding. 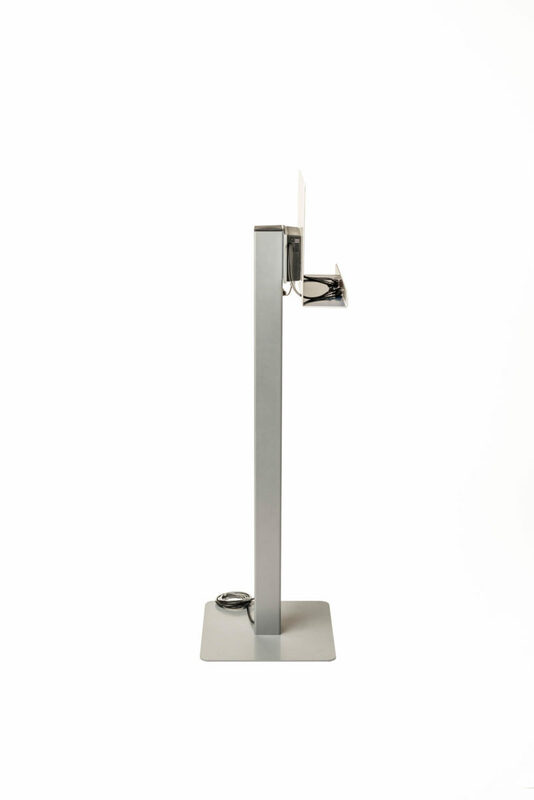 Get more use out of your product with a brochure holder. Advertise your business, area maps, or event flyers.